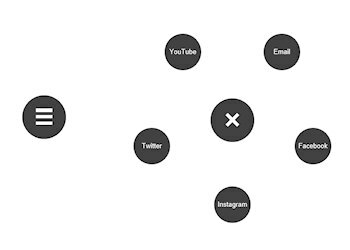 The Radial Text Menu displays an animated popup menu with round text buttons around the trigger button. When you click the trigger button then the hamburger icon will change into ‘X’ symbol. The menu has many customisation options and supports some cool CSS3 animations slide, fade, rotate and scale.